‘Catch the Air!’ Nathaniel won the Coloring Contest on Saturday, Sept. 14th at Kid’s Day. The event was sponsored by Blau Chiropractic and is held at Culvers Annually. Pictured with Nathaniel is his mother, Melody, his sister Natalie and Kyle Little, President of the Portage Family Skate Park Committee. 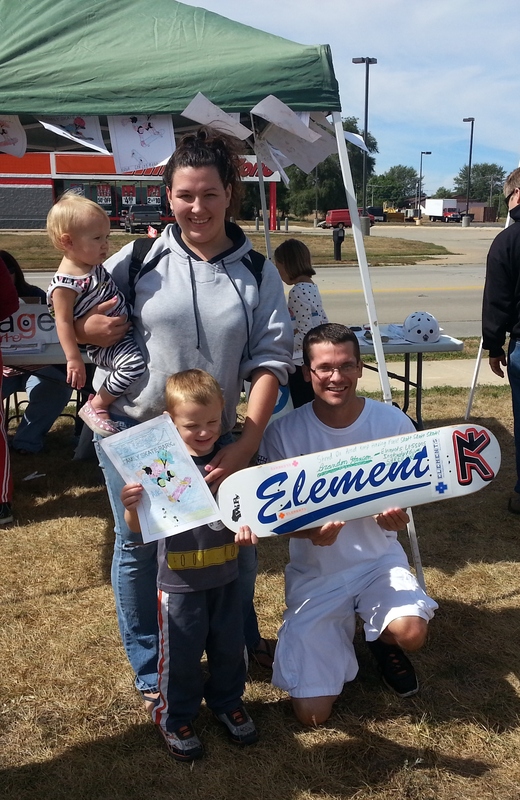 Nathaniel won a Skateboard Deck from Elements that was autographed by Brandon Hanson.